Police have stopped a golf buggy at a McDonald's drive through. A teenager has been charged with drink-driving after police stopped a golf buggy at a McDonald's drive-through. Jamie Elliot, 18, of Richmond, is to appear on a charge of driving while unfit through drink before Northallerton magistrates on June 7. 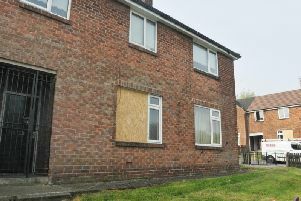 North Yorkshire Police said it relates to an incident in Richmondshire Walk, Catterick, at 3.45am on Tuesday in which two teenagers were arrested. A golf buggy is technically described as a propelled vehicle and the charge of driving while unfit through drink relates to being at the wheel of a propelled vehicle rather than a motor vehicle, according to the spokesman. A 19-year-old man from Pickering, who was arrested on suspicion of taking without consent, was "later de-arrested and is to be dealt with as a voluntary attendee at a later date", the spokesman said. In an earlier Facebook post, North Yorkshire Police described the incident as the "most unusual job of the night" and said that officers had managed to "avoid a high speed pursuit". It added that the person involved would be facing "a few interesting questions" later. The post showed a photograph of a golf buggy with the words "club car" on the front. Catterick Golf Club is nearby.